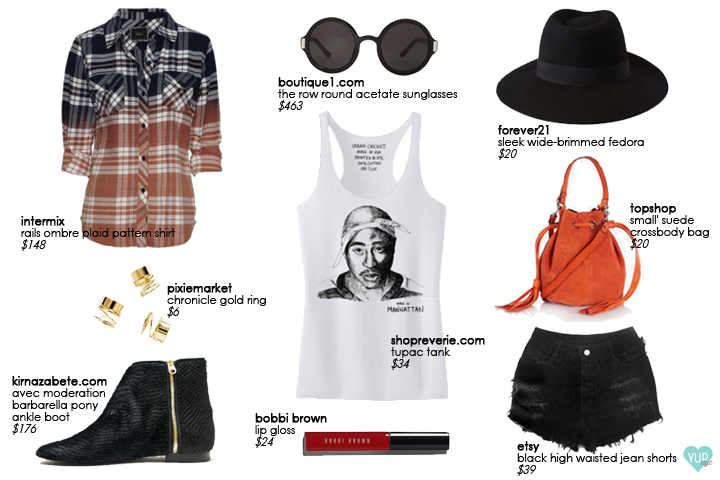 My first Coachella Fashion post was dedicated to the Notorious B.I.G and the east coast swag but now it's time to show some love to the best West Coast with Shop Reverie's The Tupac Tank. Layer this look with a plaid button up to get the perfect Cali girl swag. Want more of a traditional Coachella look? Wear ankle booties, high waisted distressed jean shorts and accessorize with a wide-brimmed hat and round glasses.